More evidence of Team AFF Europe doing big things. 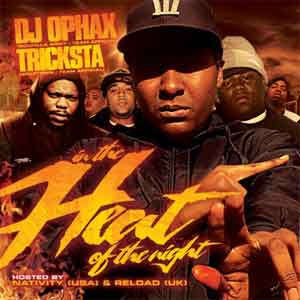 Here we see Ophax & Tricksta team up for a nice UK/USA mix that really hits the spot. Ophax gets the ball rolling nicely with some killer cuts from Nativity, as well as some killer bars from some underground cats such as Billz, D-Dash, Big Skeem, Switch and The League. Tricksta comes in with Reload the host for his section and it sees Saigon, Beanie, Geolani, A-Pinks, Lil Wayne, Hell Rell, Dino West and 10Shott all kill the bars alongside some killer cuts from the man they call Reload. This mix is a good selection of tracks and is put together so well. Make sure you go and cop this. This mix is available for free download at datpiff so make sure you check for that now!! !